If the first six months’ performance of the RM720 million Legoland Malaysia is anything to go by, the “Play” component of Iskandar also appears to be well-received. The first Legoland in Asia saw over 10,000 visitors daily during the peak school vacation periods, and annual visitor rates for 2013 are projected at over one million. These figures are set to rise once the nearby water park and Legoland Hotel are up and running by early 2014. Another much anticipated “Play” ground will be the RM3.5 billion brainchild of “Remisier King” Peter Lim – Motorsports City, targeted for completion in 2016. The sprawling 120-hectare site will not only boast a 4.5 kilometre race track for speed demons to clock speeds in excess of 300 km/h, but a whole range of facilities and services catering to the entire family: go kart track, warehouses for luxury car collections, simulation centres, as well as the peripheral food and beverage outlets. The “Live” aspect of Iskandar is also looking positive, if the popularity of residential projects in Nusajaya is anything to gauge by. Foreigners, the bulk of which are Singaporeans, have been snapping up homes in developments like Horizon Hills, Leisure Farm Resorts and Ledang Heights. Landed homes on freehold land go for anything between RM2 million to RM8 million, while rentals range from around RM 8,000 to RM 20,000. These residences appear well aligned with the Iskandar planners’ vision of creating a certain level of lifestyle within the region. “Work” is the final aspect of Iskandar that will determine whether the region truly works out or not in the long run. And at this stage, I find it difficult to say for sure whether the labour force necessary to power the level of industrial activity planned for Iskandar will indeed be forthcoming when the time comes. Companies have been drawn to set up business in Iskandar by the promise of cheaper land and labour, and generous tax breaks. But where sufficient cheap labour will come from is a big question mark. Haunting images of entire ghost cities in China come to mind, like that of Chenggong, Yunnan, an impressive but vacant city first conceptualized in 2003 as a spillover catchment for neighbouring Kunming, a city of over six million people. An indicator a little closer to home would be Singapore’s own labour shortage in sectors such a hospitality and manufacturing. 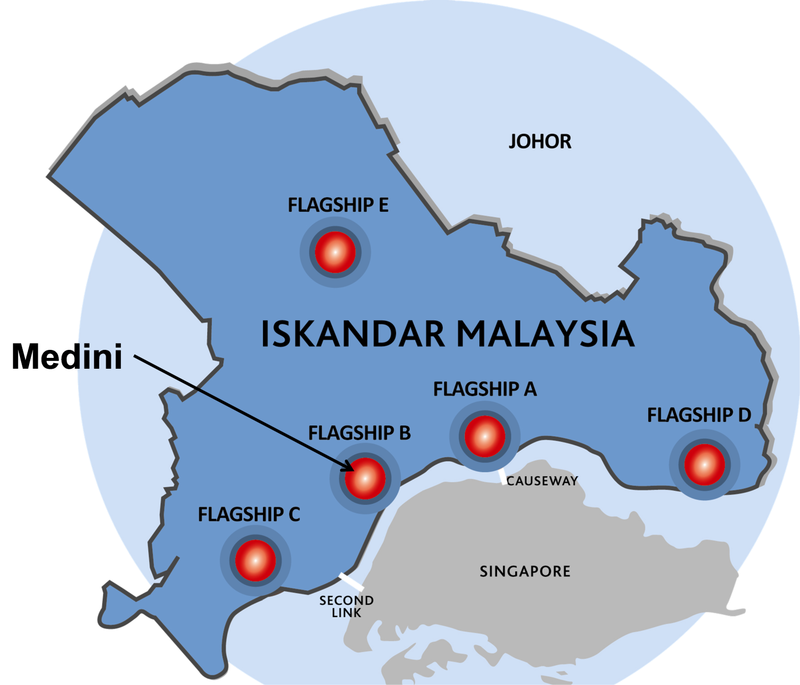 I question whether Malaysians will be willing to work in Iskandar unless salary is close to the level of what they would enjoy were they to venture across the causeway to Singapore. Given that Iskandar is thrice as vast as Singapore, the possibility of a native Johorian having less distance to travel to work in Singapore than any other given location in Iskandar is highly probable. Tax breaks, while attractive, will eventually have to come to an end, be it five or ten years down the road, and the savings enjoyed by companies relocating to Iskandar should eventually level off. And so whilst I am quite convinced that Iskandar is an exciting and worthy pursuit for the government of Malaysia, and bigger players like Liberty Bridge, a consortium of Singapore-Malaysia tycoons, Singapore’s Ascendas, and Malaysia’s own Sunway, Dijaya Corporation, Eastern & Oriental, SP Setia and the like, I advise those seeking alternative property investments after being priced out of Singapore’s property market to exercise caution. Iskandar does indeed present many attractive propositions, but as with all things that generate a lot of heat, the propensity for the ill-advised to get burnt is also high. To my mind, Malaysia’s liberal policy towards land ownership by foreigners and cheap housing can cut both ways for a would-be investor seeking yield, since the traditional source of tenants, the expat community, can just as easily afford to buy rather than rent when the quantum in question is low. In fact I’d venture to guess that a fairly high percentage of tenants currently renting homes in the Nusajaya/Medini areas are merely doing so while awaiting completion of their own custom-built villas in the vicinity! My parting shot would be to urge would-be investors to keep both eyes wide open before they take the leap onto the Iskandar bandwagon. There will be fortunes to be made, that is certain, but take care not to become just a stepping stone on someone else’s path to riches!